IF things fall into place, the long-awaited arrival of Iloilo in the Philippines Football League (PFL) might just be around the corner. A partnership between Kaya Football Club and Iloilo is already in the works and awaiting an agreement. A source confirmed the fabled club has formally submitted a proposal to the province early Wednesday. According to the source, Kaya was represented by general manager Paul Tolentino and Iloilo-based players Joven Bedic and Shirmar Felongco during the meeting with Iloilo governor Art Defensor. This was later confirmed by a Facebook post of Dr. Raul Banias, the provincial administrator of Iloilo, saying they were tasked to study the proposal of the club. If the move pushes through, Kaya will move to the recognized football capital of the Philippines, playing home games at the Iloilo Sports Complex in La Paz, Iloilo City. For so long recognized as the football hotbed of the Philippines, Iloilo was surprisingly left out when the PFL launched its home-and-away season in May of 2017. Some notable names which came from the province include former national team players Chieffy Caligdong, Ian Araneta and current Stallion hotshot Jan Melliza. Current PFF president Mariano 'Nonong' Araneta also traces his roots to Barotac Nuevo, Iloilo. On the other hand, Kaya is one of the oldest active football clubs in the country, having been established in 1996 before becoming one of the founding members of the now-defunct United Football League in 2010. With the backing of LBC’s Santi Araneta, Kaya rose to prominence by winning the UFL Cup in 2015 and finishing runner-up in the UFL in 2010 and 2012. The club made its lone continental appearance in the 2016 AFC Cup, finishing second in its group before being dropped by Malaysian powerhouse Johor Darul Ta’zim in the round of 16. 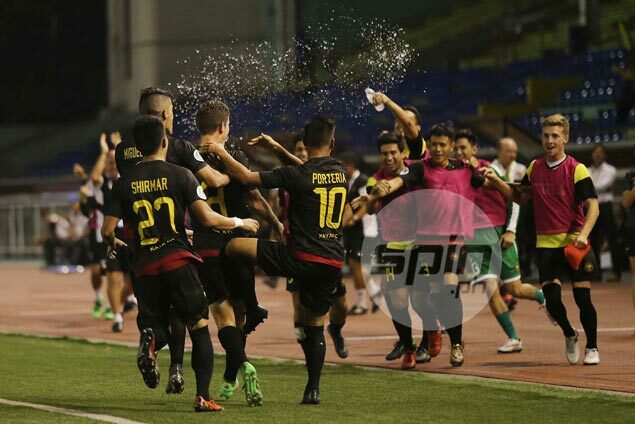 Kaya called Makati home in the first season of the PFL, finishing third after the 28-game elimination round before being eliminated by eventual champion Ceres Negros FC in the semifinals.